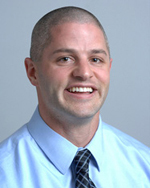 As the director of the Exercise Neuromechanics Laboratory at the University of Memphis, Dr. Schilling is dedicated to studying multiple lines of research. He has a background as a strength and conditioning coach and National-level weightlifter. Brian’s research primarily concentrates on the neuromuscular system’s expression of force & the responses/adaptations of the body to resistance exercise. Other research interests include nutritional ergogenic aids, resistance training in special populations such as Parkinson’s Disease, as well as and tactical strength and conditioning.